We were on Fireside, WMEX in Quincy, Massachusetts. Hosted by Jim Callahan and his beautiful (in every way) wife, producer, and co-host Nancy, we had a great time. Lots of laughter. Garry had the opportunity to tell a whole bunch of his celebrity anecdotes to a new audience and he sparkled, as always. All the pictures were taken with the Pentax Q7 and (mostly) the f2.8 5-15mm “standard” zoom. A fun time had by all. Radio Days….it never gets old. love the photos- and Garry SHOULD write a book! We all agree. Garry should write a book. Even HE thinks he should write a book. He just hasn’t. Any chance of a link to the archive? I can find out. I know they have a strong presence on Facebook. I will check with Nancy. We just got back from my granddaughter’s HS graduation and we are pooped. HOURS of the worst speeches EVER and the worst delivery — the off key band and singers who aren’t good enough to earn their own shower. I’ll send a note to Nancy. If there IS an archive, I’d like to hear it too. Writing a book is a great idea! It records a certain period of time in which we played a part and it would be a shame to lose it. Why don’t you go for it Garry. Peter did – “Memoirs of a Hayseed Physicist” by Peter Martel. We have ALL been urging him to write. At least I’ve gotten him to write a few posts. He really should. He has great stories to tell. But you know, you can lead a horse to water? Is your husband’s book available anywhere? Send a link?? 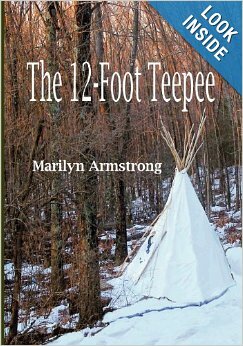 Hi Marilyn, just google Peter Martel Memoirs of a Hayseed Physicist. You can order it on line of most books stores can get it for you. Parts of it are on line for free. I found a used copy on Amazon. Bought it. Thank you so much. His book was sited in the former President Jimmy Carter’s memoirs because he came up to clean up a spill at Chalk River Nuclear Laboratories many years ago. It sounds interesting. I’ll look forward to it. It’s REALLY gonna happen, Leslie. Actually, My working title is partially similar to Peter’s. Delete “Hayseed Physicist”. I think you will get a big kick out of it, Garry. Also, I think you will be documenting a certain period of time in your profession with some very unique experiences. I can’t wait to read it. Wow ! So much energy flowing here. Fun and happiness all around. Garry needs a ghostwriter. He needs to be able to talk and have someone else do the organizing, formatting, etc. That would be me, but I don’t know if a wife should do this kind of project with a husband. It is perilous. Also, there are things he would NEVER tell me because I’m me. Maybe that’s the easy way to write that book – interviews. ?? Right now, I’m collecting the posts he writes. That’s something. But ultimately, if it’s going to happen he needs to sit down with an editor/co-writer and get it organized. And I don’t think I’m the right person. By jove, you’ve got it! Take all the blogs/interviews I’ve done and do a thread with some back stories. Thanks for the reminder. Great photos, and to agree with everyone – Garry should write a book. Do you have a recording of this??? I’m going to check with Nancy and find out if they keep an archive. If they do, I’ll post a link. Thanks. Would love to hear it too. It’s good to know radio celebrities. Garry “met” the show’s host on Facebook. He had heard of Garry, but they had never met. Which is funny because I was sure Garry had met and/or interviewed everyone in Massachusetts and at least half of the rest of New England. Nice to see you using the Pentax. Exactly. It’s a super fun and super portable camera system. Actually, I was just very appreciative of those photos you took. Damn brilliant!! your pictures tell the story of a good looking life. Garry looks like he’s having a great time and I’m sure that it was a fascinating broadcast. Next Next post: FROM THE RADIO STUDIO – ODD BALLS ON THE AIR!